Not everyone is as physically gifted as Texans DE/LB/SuperFreak Jadeveon Clowney. The rest of us have to make up for our physical limitations with heart, hustle, and all the other motivational crap thousands of twitter accounts and books are dedicated to. 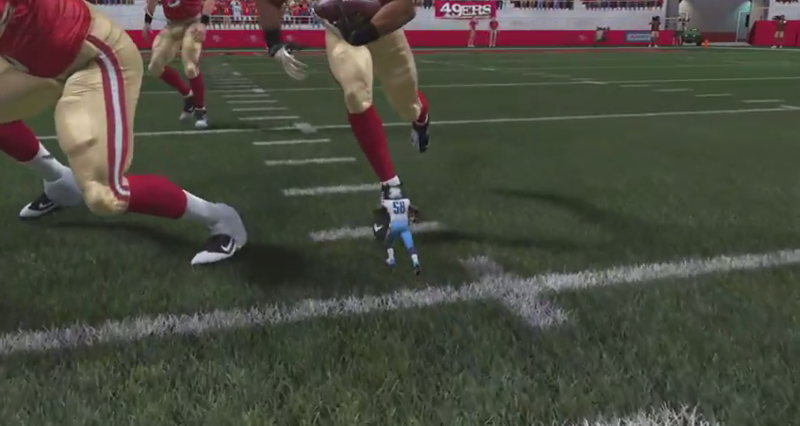 Well, in Madden 15, they’re taking that thought to the next level. The WAYYYYYYY next level. Damn…so close. Almost had him. Good hustle though. His name is Christian Kirksey, and he’s 1 foot 2 inches of pure athlete for the Tennessee Titans. 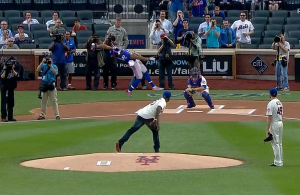 The Cowboys need to sign him and stick him at MLB. Instant upgrade for them. Many more to come no doubt. After all, as EA Sports says: if it’s in the game, it’s because we screwed something up. Again. ← Previous Story Pothead NFL logos: What if all 32 NFL logos smoked weed?